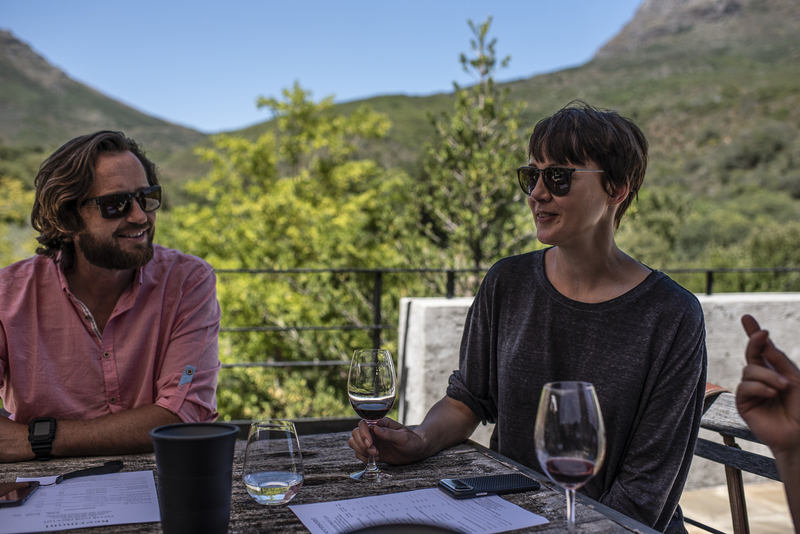 We begin this tour in Cape Town, discovering this beautiful city sat below the Table Top Mountain and the nearby wineries. From Stellenbosch we will fly along the coast into the Karoo desert through the beautiful landscapes of South Africa. This will allow you to view the country, and its beauty from above for the first time. This tour is packed with activities for you and your family. 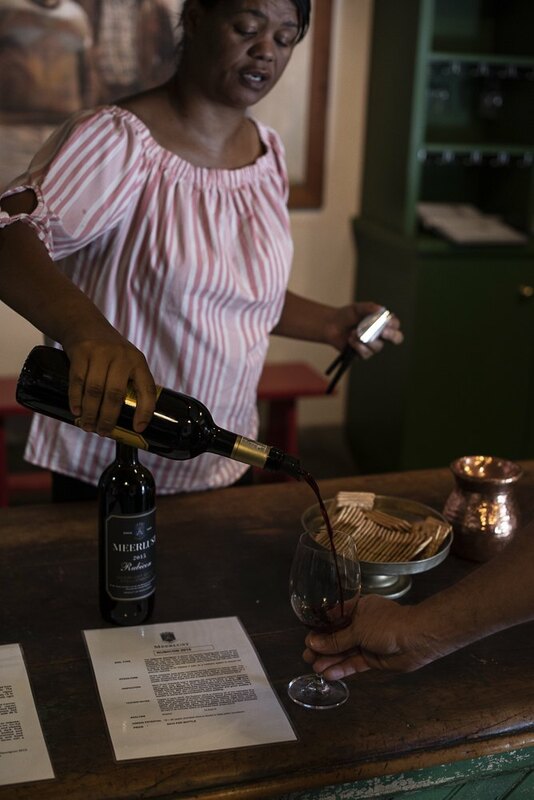 Explore some of the famous wineries around Cape Town, join on guided wildlife safaris, gaze at the Augrabies Falls and visit Sneeuberg Nature Reserve in The Karoo. There is certainly something for everyone. This 10-day Air Safari tour starts with spending several days in the Cape Town and Stellenbosch area. 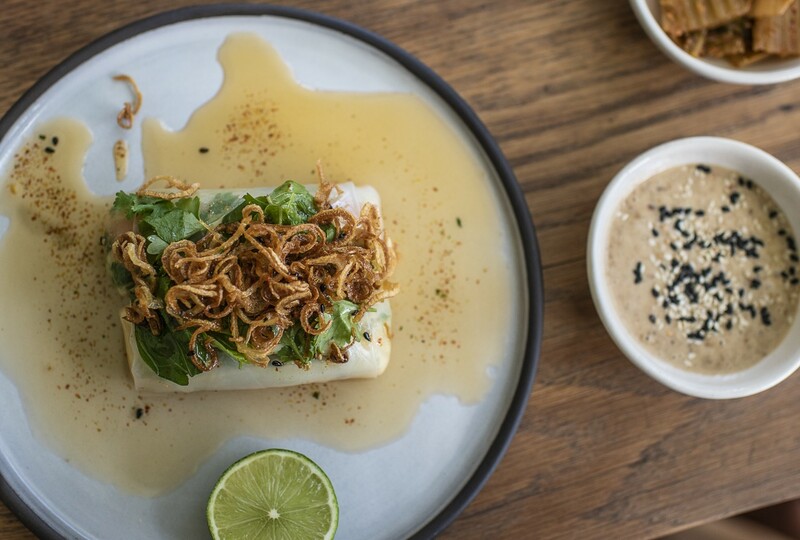 We will be visiting some of the great wineries, the Cape Peninsula, Table Mountain and ending our days dining at some of the well-known restaurants in the area. 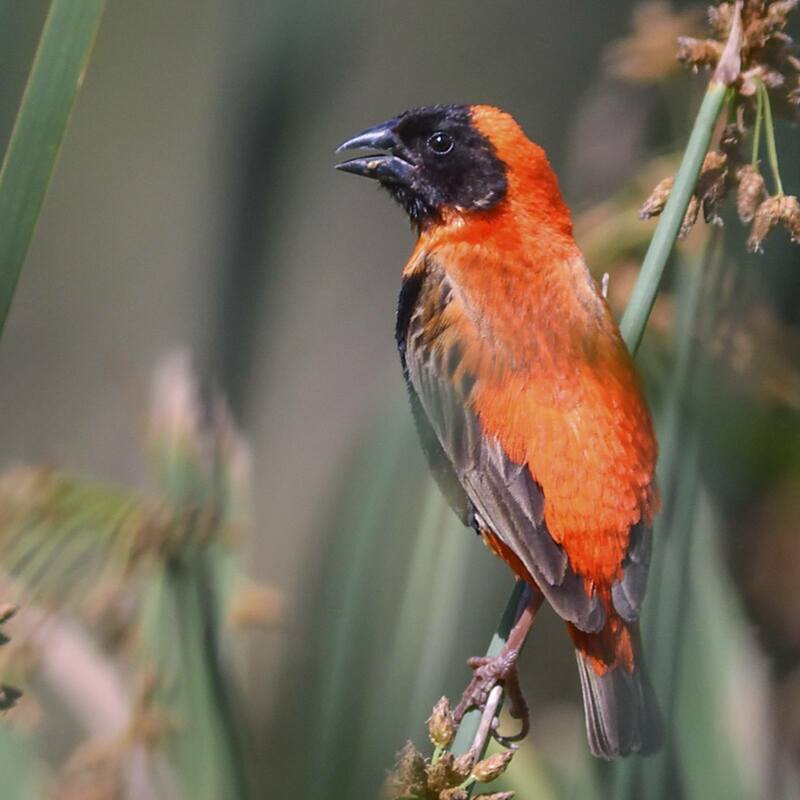 From the Cape, we will then fly on to Kariega Private Game Reserve in search of the Big Five, after which we will fly to Sneeuberg Nature Reserve in The Karoo. From The Karoo, we will continue towards the Augrabies Falls. We will be stopping over at Kagga Kamma or Bushmanskloof exploring historical bushman painting sites, before returning to Cape Town. If you have an EASA or FAA pilot license, we will assist you with getting your pilot license converted to a South African pilot license. The process is straightforward and includes some paperwork, one theory exam on South African Air Law once you arrive in Cape Town, and a check ride with a local flight instructor. In addition, we will help you find a suitable aircraft to rent for this trip – meaning the whole trip will be as hassle-free as possible! If you do not have a pilot license, you can fly along as a passenger. A professional pilot will fly you personally around on this trip in his 6-seater aircraft. Explore historical Bushman painting sites. TRIP START/END LOCATION Meeting Point is in Cape Town, South Africa. DEPARTURE DATE/TIME Please arrive latest on March 5th, 2020 at 18.00 hours. 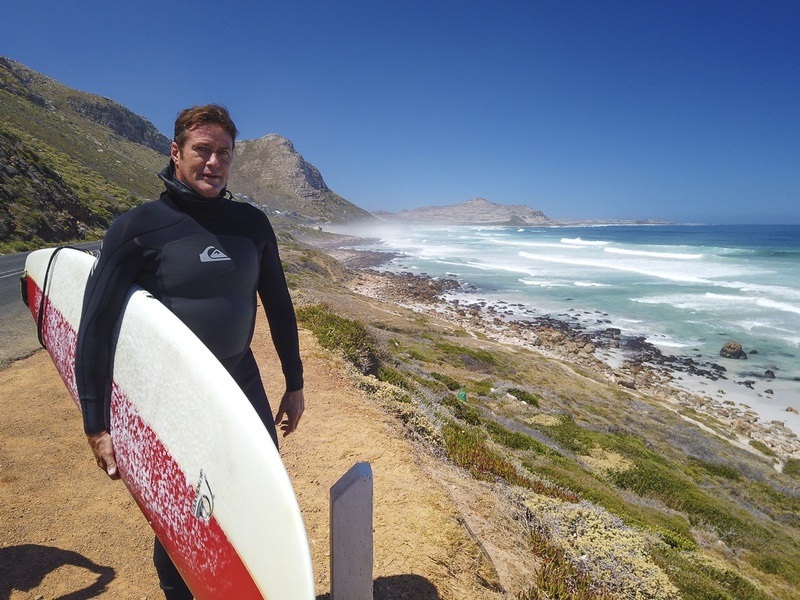 RETURN DATE/TIME The tour ends on March 15th, 2020, after arriving back in the Cape Town area. SELF-FLY OPTION* Total flying distance: 1233 NM | Approximate total flying (block) time: 12:00 hours (C172), 10:00 hours (C182/C206) | Flying time check-ride with South African instructor including overland: approx. 2:00 – 2:30 hrs. All aircraft owners charge block times from off-blocks to on-blocks. PASSENGER OPTION* Total flying distance: 1233 NM | Approximate total flying time: 10:00 hours. There is room for a minimum of 3 passengers up to a maximum of 5 passengers that together will share the flying costs. Professional pilot and commercial operator in a 6-seater aircraft. Flying costs including a professional pilot, all landing fees, fuel and accommodation/food for the pilot: €395,00 per flying hour. The cost of 3 passengers sharing will be €145,00 p.p. per flying hour and with 5 passengers sharing €95,00 p.p. per flying hour. An arrangement can be made directly with the aircraft operator. The above-mentioned charges include VAT. GROUP SIZE Maximum of 4 participating aircraft and 8-10 participants, excluding the support aircraft and the guides coming along. WEAR Comfortable clothing suitable for safari and travel. Informal dinner attire for first few dinner nights in Cape Town. Good walking shoes if you want to participate in guided bush walks. Bring a hat or cap to protect against the sun. PACKAGE TRIP Yes, guaranteed by STO-garantiefonds (Dutch travel insurance fund). TERMS Our Terms & Conditions as found here are applicable to this Tour offer. Tips to waiters, taxidrivers and safari guides. *Safaris, Game Drives and Guided Bush Walks are normally a part of the lodging arrangement in Africa and as such included in the price. The accommodation is offered full-board including the drinks, which include standard wines and beers but excludes exclusive champagnes, wines, and spirits. The options (optional items) are not a part of our tour offer price, nor are they a mandatory element of our tour. The options are available but have to be paid to the local operator offering the specific activity by credit card or in Rand or US$. 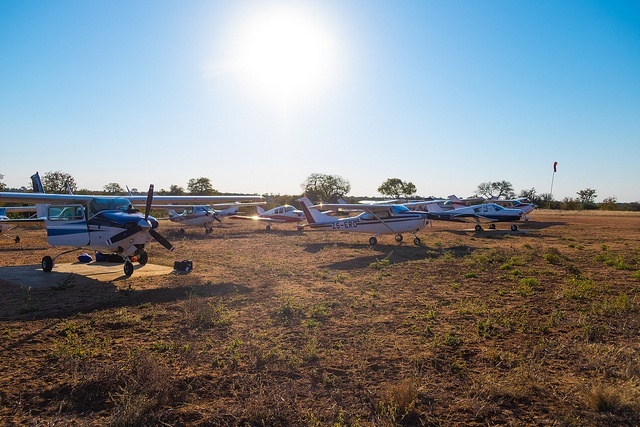 As for aircraft rentals, we provide you with information about the aircraft owners willing to rent out their own South African registered aircraft to you, so that you can arrange a direct rental agreement with one of them. We will also provide you with the contact information of a local flight instructor that will assist you with the conversion of your EASA or FAA pilot license into a South African converted license. If you want to buy any wine at the wineries that we visit you can do so. We will, in that case, provide you with a box that can fit 12 bottles of wine, which we will ship to your home address free of charge. Arrival at Cape Town International Airport, South Africa where we will pick you up. The Air Safari trip will start with a welcome dinner at the Radisson Blu Hotel, close to the beach and in the centre of Cape Town. 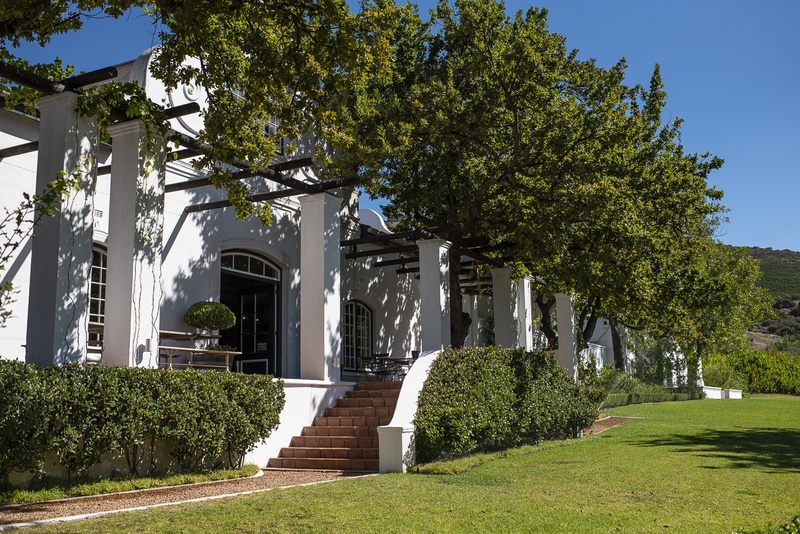 This hotel will be our home base for the first few days, from which you will be making your experiences of Cape Town and the surrounding area. 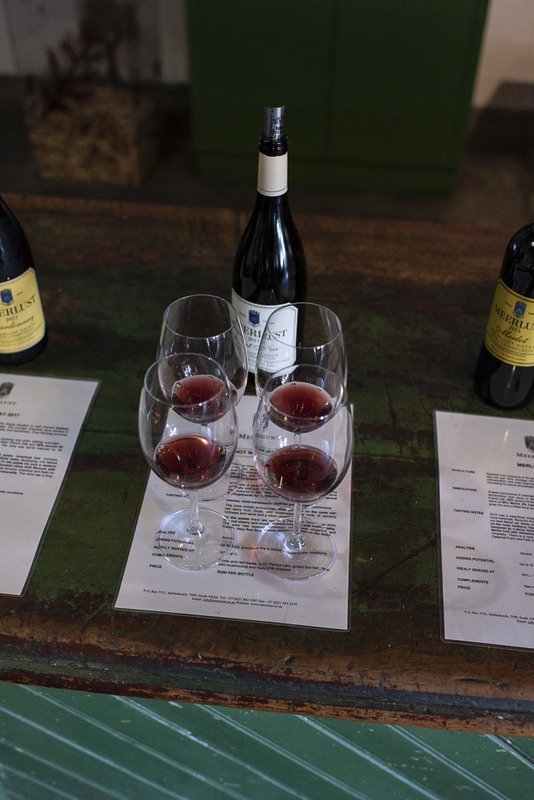 Note to pilots: If you are planning to fly along and need to validate your foreign pilot license into a South African license, then you could come in one day early to do the validation ahead of the tour, or you can do the license validation on day 2 (Friday) while your partner joins the wine tour. 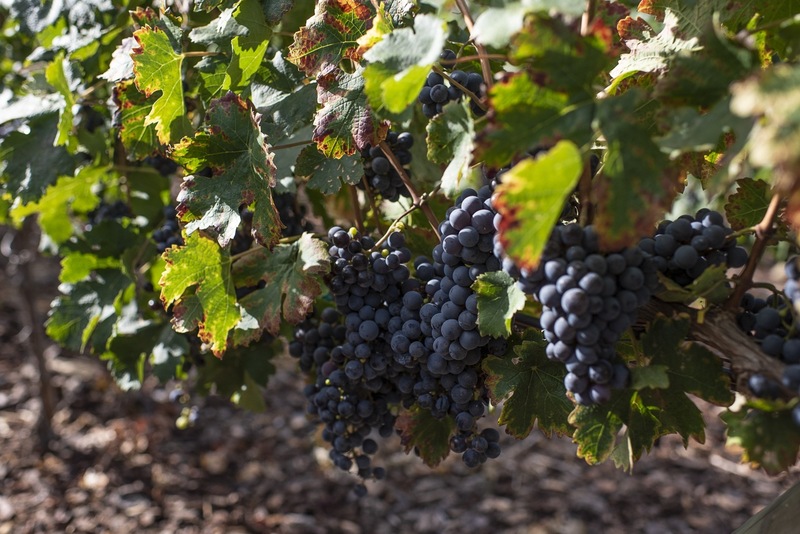 We start out with a 3-day tour of the wineries and Cape Peninsula. 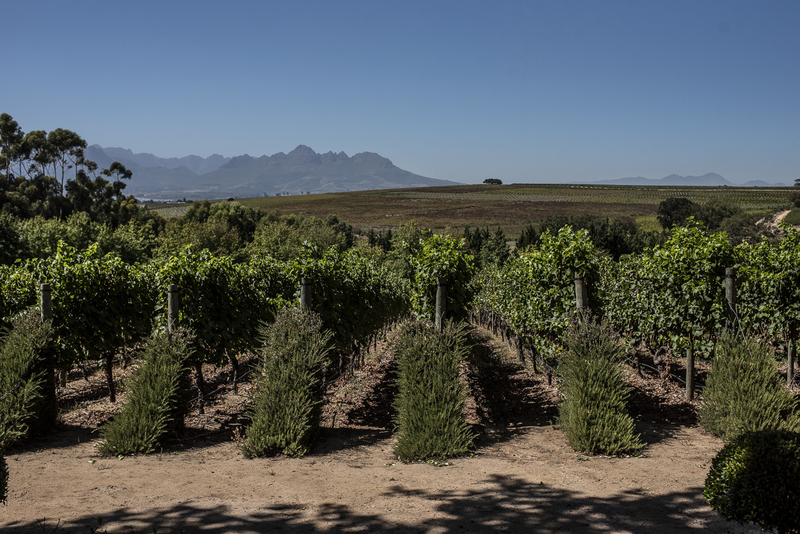 For two out of the three days, we will focus on the Stellenbosch nature, scenery, and the wineries, while on the other day we will be visiting the Cape Peninsula and Table Mountain. 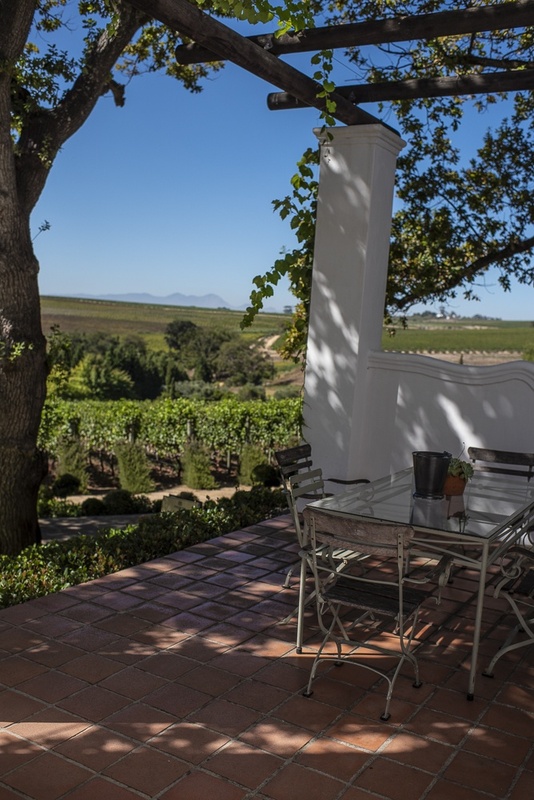 Visit Morgenster Winery for an olive oil and wine tasting. Visit Waterford for wine tasting and chocolate pairing. 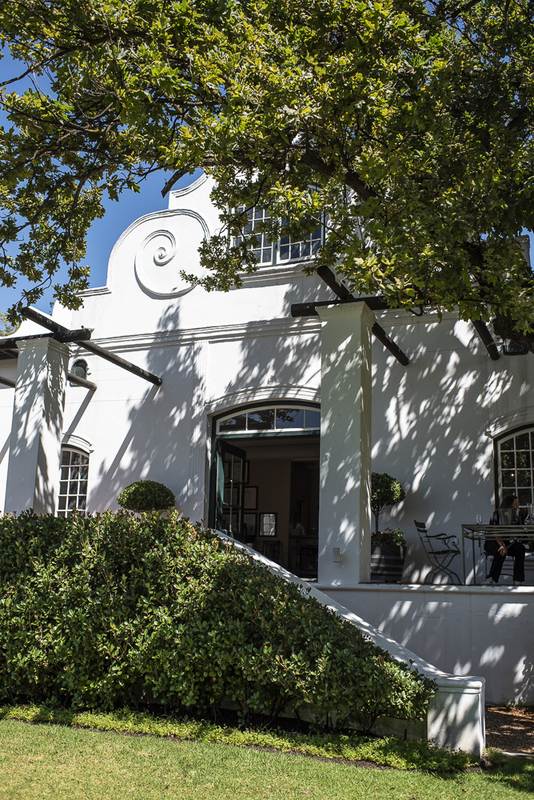 Drive through the historic town of Stellenbosch. Lunch at Tokara Restaurant, Stellenbosch. 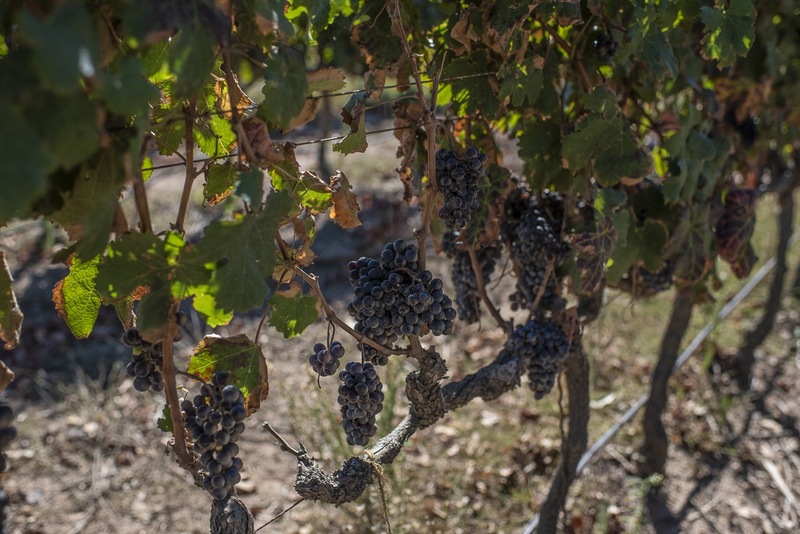 Visit Thelema Mountain Vineyards for a wine tasting. 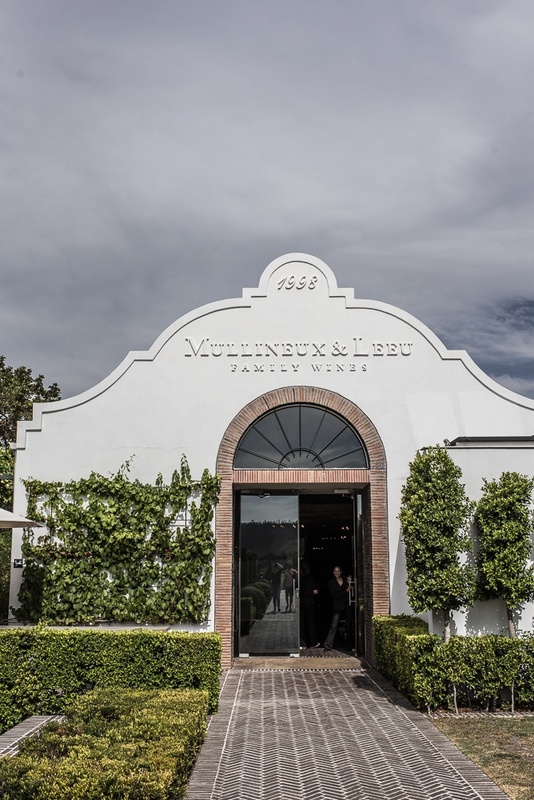 Visit Mullineux & Leeu for a wine tasting. Our trip through will continue today with a visit a bit further away to Luddite, Hermanus and a scenic tour back to the hotel. Visit Luddite Wines for wine tasting. Visit Bouchard Finlayson for wine tasting. 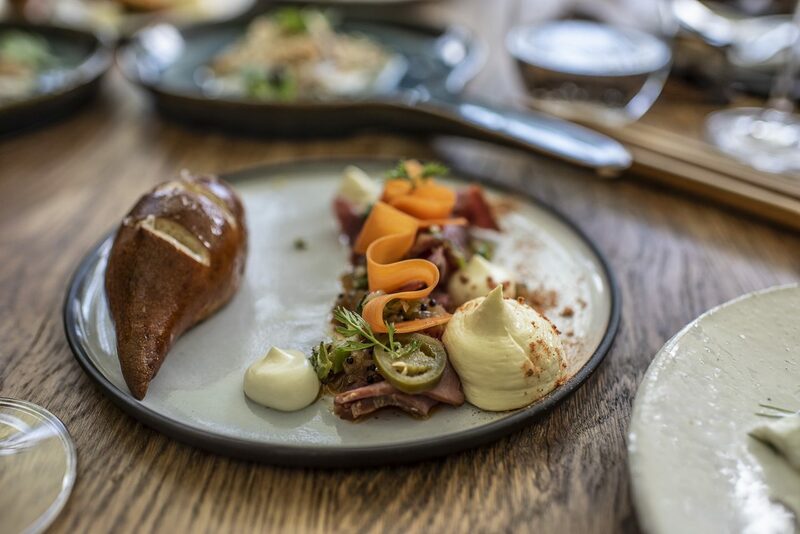 Food and wine pairing lunch at Creation in Hermanus. 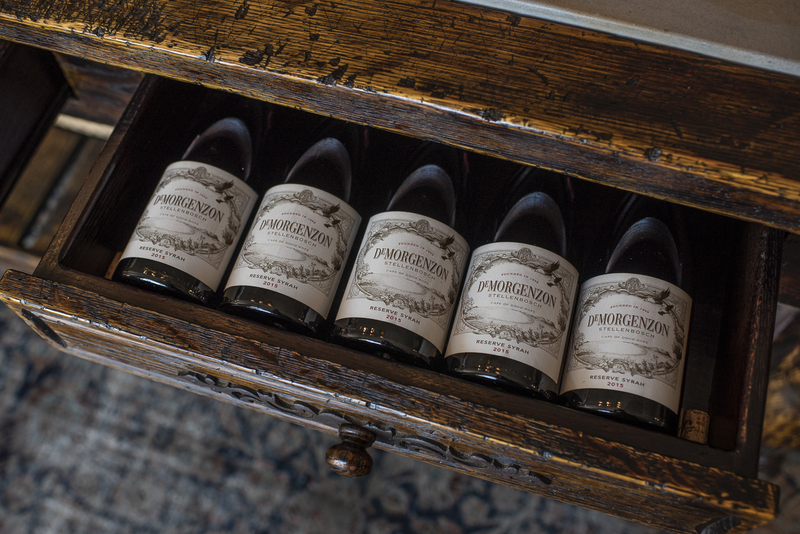 Visit Newton Johnson for wine tasting. Drive back to Cape Town via scenic Clarence Drive. 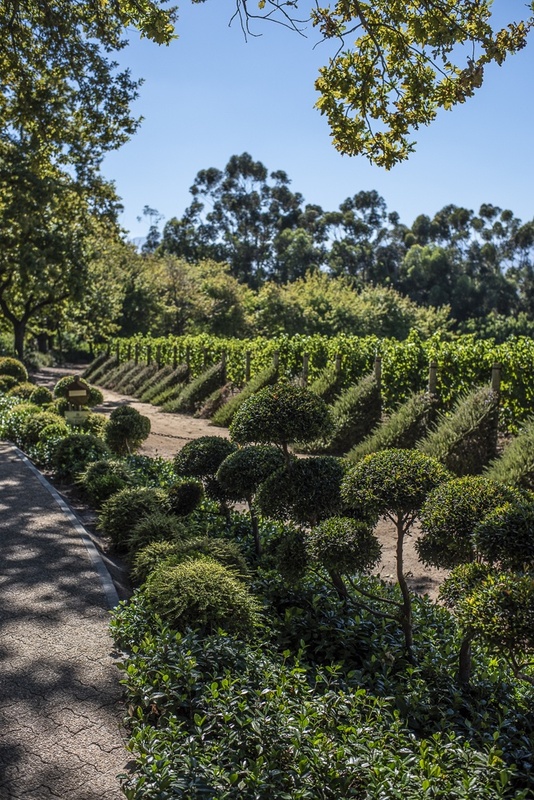 Visit Groot Constantia for wine tasting. Drive south via Constantia, Boyes Drive, Fish Hoek, and Simonstown. Visit the African Penguin breeding colony at Boulders Beach. Visit Cape Point and ascend to the lighthouse by funicular. Fish lunch at Two Oceans Restaurant. Drive north via Scarborough, Misty Cliffs, Kommetjie, Chapmans Peak Drive, Llandudno and Camps Bay to Table Mountain. Ascend to the top by cable car, to take in the beautiful view of the surrounding area from Table Mountain. If you are in luck, you will see the most beautiful sunset! We will gather in the morning at Stellenbosch Airfield (FASH) and fly from there along the coast to an airstrip close to the Reserve. We will be transported to the lodge and join the afternoon safari as well as go on two safaris the day after. Drive to the Stellenbosch Airfield. Flight from Stellenbosch along the coast to Mosselbaai Airfield, where we will stop to have lunch. Flight to Kariega Private Game Reserve. Afternoon safari in search of the Big 5. The next day will include two game drives in search of the Big 5. After our morning safari we will be taken to the airstrip from where we will fly to Sneeuberg Nature Reserve in the Karoo Desert. We will stay in the nature reserve in The Karoo with opportunities to venture out and explore the area. The options here are diverse from local flights over the Valley of Desolation to bushwalks, game drives, health treatments to mountain bike trips. Of course, you can just take the afternoon to relax by the pool and read a good book. Flight over the Valley of Desolation. South African Braai around the fireplace. If enough people are interested and weather permitting, several hot air balloons will rise from to our lodge for a sunrise hot-air balloon ride over the Karoo desert. This is a truly special experience and will allow an uninterrupted and expansive view of the beautiful countryside below. It is arguably one of the best ways to take in the miles and miles of the landscape of the Karoo Desert. 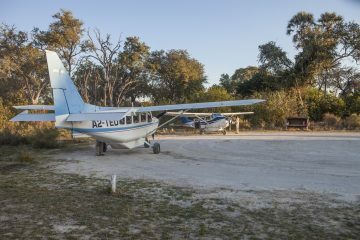 Today, we will fly to Dundi Lodge. 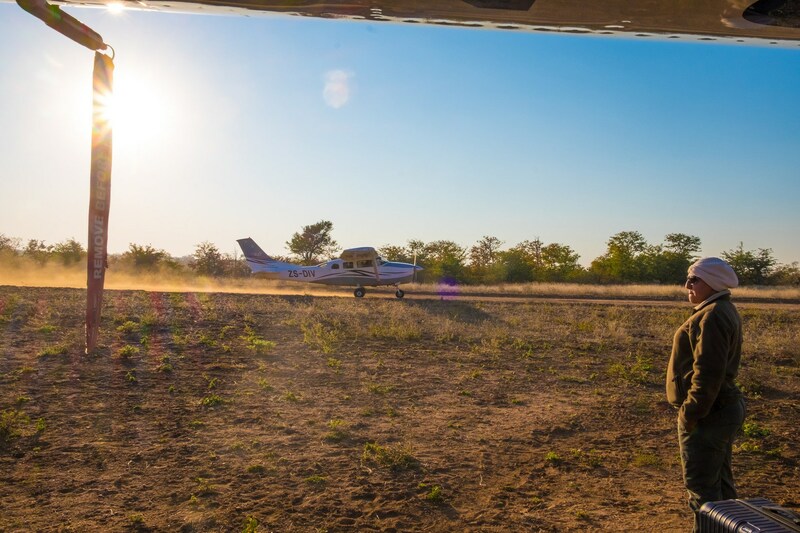 It has its own airstrip and is situated right next to the Augrabies Waterfalls. Along the way, we will land at Kimberley Airport to refuel the aircraft and to visit the Big Hole. Visit of the Big Hole, originally the aftermath of the hunt for diamonds, it is now a fascinating site for visitors every year. Lunch of your own accord. Visit of the Augrabies Waterfalls, which are over 183 feet high and truly spectacular! Take a scenic flight over Augrabies Falls and the surrounding area. The flight today will be back to Cape Town with a stopover at Kagga Kamma Nature Reserve or Bushmanskloof Lodge for lunch. Before lunch, we will be taken on a Rock Art tour which will give you an insight into the history of this area, but also into the history of the people and tribes of Southern Africa. Flight from Dundi to Kagga Kamma or Bushmanskloof. A flight back to Cape Town. Flight from Kagga Kamma or Bushmanskloof back to Cape Town. Optional extension of the Tour could be a stay at Bushmanskloof Safari Lodge. Returning the aircraft to their owners. End of the 10-day self-fly adventure trip. Trip back home. We will be sad to see you go! Note: Not all web-browsers are supported. Use a modern browser to submit the form below. Firefox is a reported browser that is not supported at the moment. After submitting the form, you will be brought back to the Tour page. If you encounter problems, please let us know at [email protected]. Fill out this form and reserve a provisional spot on one of the tours we are organising. We will keep your spot reserved for the next days in order to be able to arrange with you the details of the tour before you have to make a commitment. Please enter a value less than or equal to 15000. When renting an aircraft in South Africa, you need to either have experience on the specific type of aircraft you want to fly which needs to be visible from your logbook or it needs to be signed off by an SA flight instructor during a short familiarisation training just before the pilot license validation check ride on the specific aircraft type. The October-November 2019 Tour starts in Johannesburg on Friday the 11th of September at 18:00 local time in South Africa. Do you own a satellite tracker? We can do flight following during the trip of your aircraft if you own one of the following satellite trackers. Alternative, you can rent a tracker from us. Are others coming along with you during the trip? Describe any specifics that we need to know such as young children coming along or dietary requirements. Please read and accept the Terms & Conditions for this specific Tour. Do you want to receive our e-mails about our Africa adventures? This Air Safari Tour will be guided and supported all along. Welmien Foster will be your first contact and manages our reservations desk. She is responsible for all the bookings. She operates from our office in Cape Town. Any questions you might have related to lodging, generic questions related to the trip, what to bring, customs, luggage or what to wear or anything else can be addressed to her. Welmien comes originally from Hoedspruit, which is situated right next to Kruger National Park, and she grew up near the bush and African wildlife – so she really is a guru on all things South Africa! She will also monitor all of our flights during the whole tour through a satellite link connecting each aircraft to our system (flight following). Johan Jansen van Rensburg is responsible for all the logistics around the participating aircraft. He studied at the University of Stellenbosch in the field of forestry and worked as a forester in South Africa for some years before starting his own construction company specialized in construction work in the mines. He enjoys flying his planes, has his own airstrip at his house and enjoys riding his motorbikes during enduro adventures. Johan is responsible for the availability of the aircraft, the fuel logistics en-route and will come along as one of the embedded guides on this trip to assist with any (technical) issues which might arise. 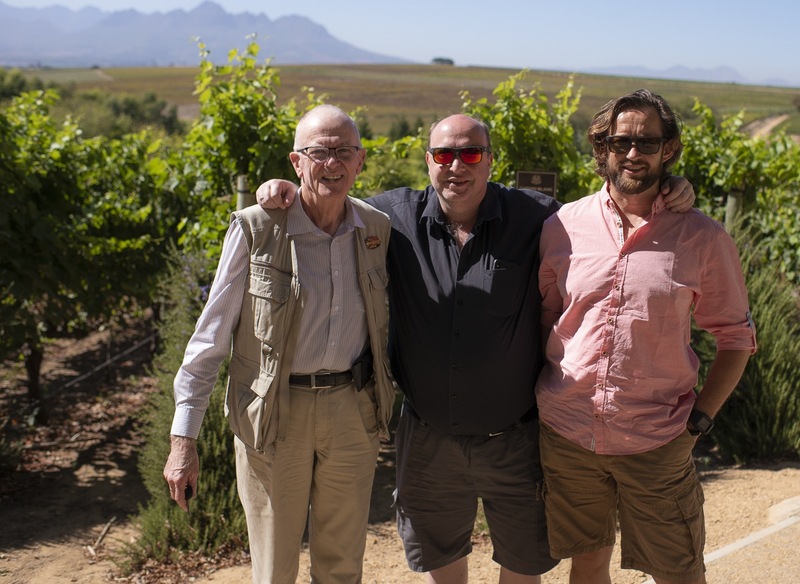 Steve will join us the first few days as a local wine specialist while we tour through the Cape and Stellenbosch area visiting some very special wineries. He had a wide and intimate knowledge of the wines of the area, accumulated over forty years of wine tasting. He also knows personally many of the winemakers and proprietors of the most important wineries. He should be able to answer all your wine orientated questions! Sjoerd Jan ter Welle is the founder of African Flying Adventures and will come along on this tour. He enjoys flying aircraft and has been flying aircraft throughout most of the African continent and even wrote a book about his flying adventures in Africa which you can buy at Amazon if you are curious. 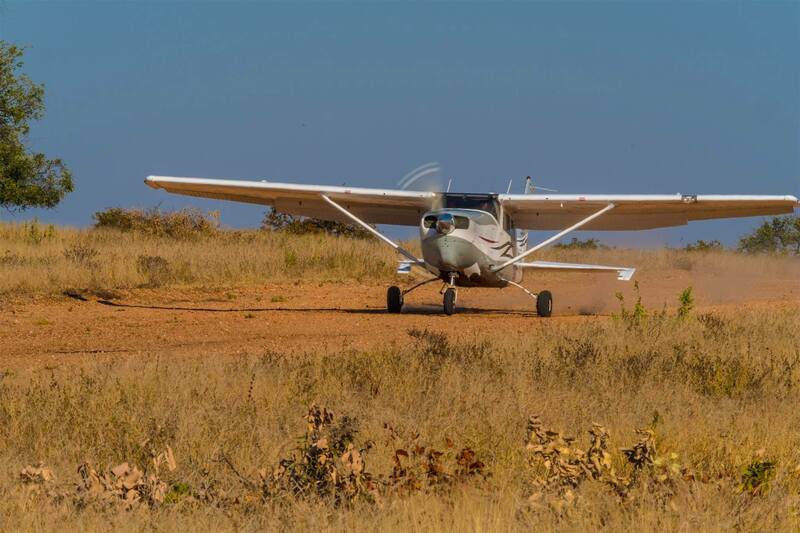 Sjoerd Jan will take care of all the flight logistics involved such as the filing of flight plans, getting the required permits to fly through Africa and to the bush airstrips. 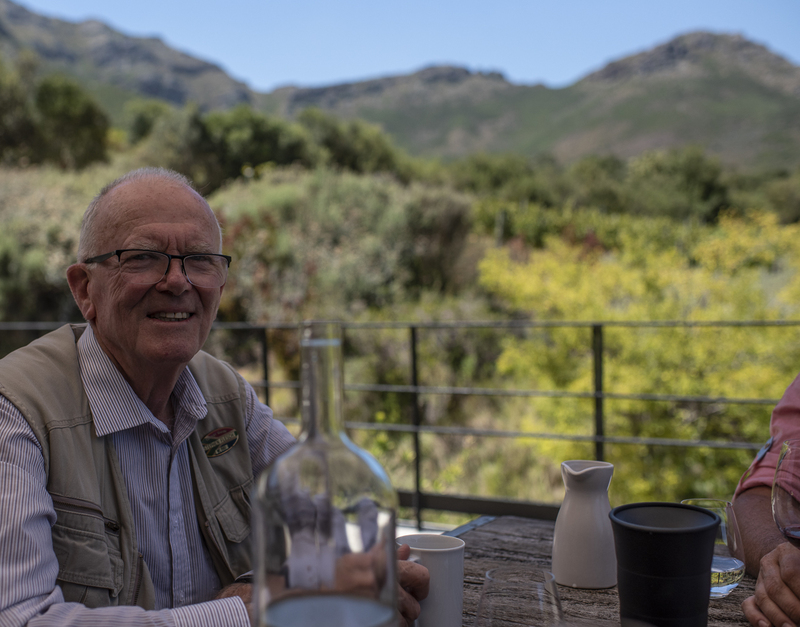 As well as flying, he enjoys the African Wildlife, is a qualified safari field guide, makes his own wine at home and has just completely fallen in love with the African continent.